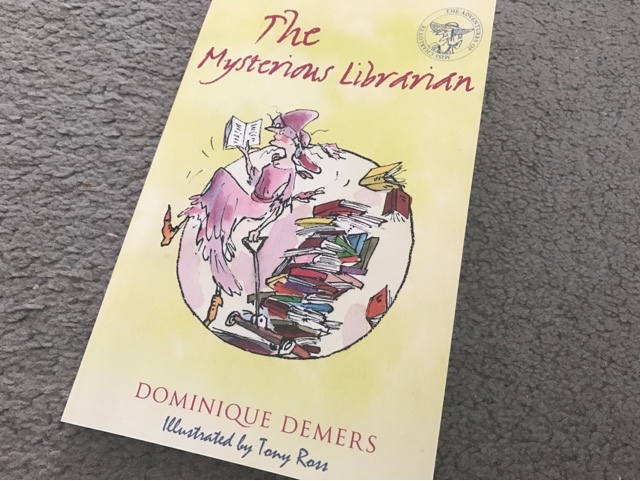 Last year my eldest daughter had the pleasure of reading The New Teacher, a fantastically entertaining book written by Dominique Demers and illustrated by the talented Tony Ross. Now I can share with you her review of the sequel, The Mysterious Librarian. When the mysterious and eccentric Miss Charlotte arrives in the village of Saint-Anatole to take over the tiny library, the locals are surprised to find out that she does things differently. Wearing a long blue dress and a giant hat, she takes books out for a walk in a wheelbarrow and shows the children that reading can be fun and useful. Sometimes she is so caught up in the magic of the stories she shares with her audience that she forgets all sense of reality - so much so that one day she loses consciousness and the children must find a way to bring her back. 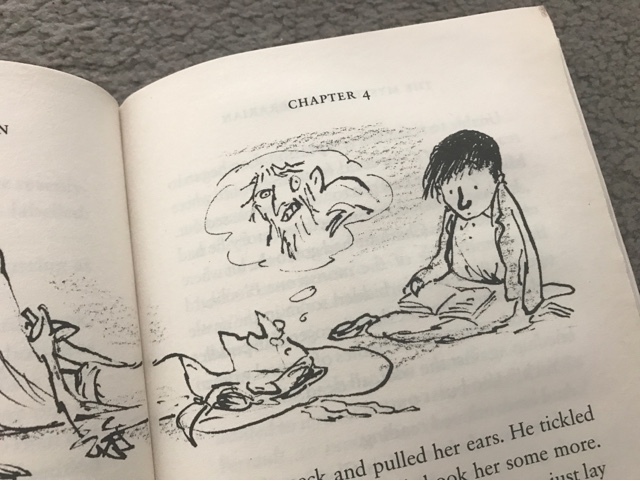 This is a story that is rather magical and really shows the power that books can have, but before I carry on I'll let my daughter share with you her thoughts. The Mysterious Librarian is the second book in the adventures of Miss Charlotte set. In this book Miss Charlotte takes over a town library and gets up to a bit of adventure while she's at it. This set encourages children to read more because books it shows that books are entertaining, educational and can absolutely take you to another world (in Miss Charlotte's case this is literally what happens). My favourite part of the entire book is that they included the main character from the last book into the story. It was a beautiful idea for the story and it played out perfectly. One particular character I think other children will like is Martin. In my opinion Martin represents children who don't read because they won't be 'cool'. This shows that not everyone will read for one reason or another but I think reading is something that all children should do more as it can definitely increase their chances of big opportunities in life. Another thing that made me keep reading was just how funny it was, there are a lot of bottom jokes shall we say and they made me laugh so I think other kids would definitely giggle too. With the story, the characters and the meaning in it all, all of these things combined make for a great book. And my final conclusion, this is simply a wonderful book especially for younger children. I definitely recommend this book for any child, ones who simply love to read or those who need encouragement to read more. I'm hoping there will be more in this series to come as I think these books will flourish and be loved by so many readers. I think you can get the sense from my daughters' words that she thoroughly enjoyed this tale. With relatively short chapters and drawings that really help the imagination to take over, this is a book that I'd say is suitable for children aged 6 and upwards. Miss Charlotte could well turn into one of those well known characters, she's utterly bonkers and definitely stays with you long after you've finished reading. Why not head over to alma books to see where you can pick up a copy of your own. What a great review :) I like the sound of this series. What a lovely review by your daughter and it sounds like a great read too - bottom jokes always enhance any story! Will remember this series for my niece when she's a little bit older.